With Father’s Day hitting this Sunday, it inevitably got me thinking about my dad, specifically about my dad and reading. My dad died when I was ten. A huge portion of my memories of my father involve watching him read. My dad read ALL THE TIME. He would take piles of books out from the library and sit on our couch, all day and night, and he would read and read and read. He would chain-smoke Benson & Hedges 100s while he read and he would never, ever return those books to the library. 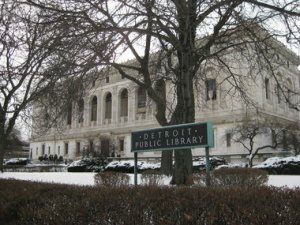 We had mountains of past-due library books in every room in our house, topped with sliding whitecaps made from all of the overdue penalty slips that arrived in our mailbox every day, begging us to return all of the publically-owned books we were hoarding. Those slips were largely ignored. 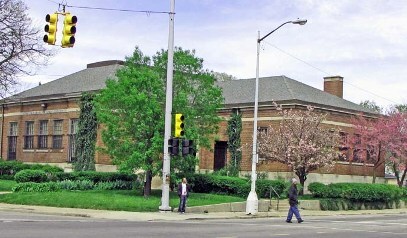 My dad loved our local library and so did we. And the librarians loved my dad. He was well-read, charming, had an adorably thick Scottish brogue, and always treated the librarians with respect, which is ironic, given how little respect he paid the library’s return policy. In retrospect, I am struck by three main thoughts about our long period of familial library larceny. #1). That was just crazy behavior. Crazy. Seriously, who does that? #2). I can’t help but wonder if that whole mess was even a partial inspiration behind my own desire to create such a large “bought-and-paid-for… look, I even have the receipts!” home library for my daughter. And, #3). I wonder if that’s why I never had any books that belonged to my father. Because, even though you could easily describe my father as a voriacious reader, after he died (which wasn’t that long after our “Great Midnight Library Return” adventure), we barely had any of “his” books left in the house. I’m a person who owns a lot of books. If you went through my bookshelves at home, you’d find an odd mix of titles, but you’d also find copies of every book that ever really MEANT something to me. So, with that in mind, it feels very odd to me that my dad, who also, apparently, treasured books, didn’t do the same thing. BUT that book footprint got a little more distinct last year when my mother moved out of my childhood home after living there for thirty-six years. As I was helping her clean out our house, she pulled a very dusty box-set of three books off a high shelf. 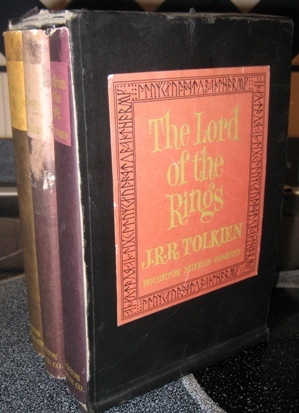 It was a 1965 edition of the Lord of the Rings trilogy by J.R.R. Tolkien. In the decades I’d lived in that house, it was the first time I ever noticed them. Before I get started, let me say that I know that saying anything is the “best EVER” is one of the internet’s most heinous and frequent sins. Everything online has to be the greatest or the worst. People can’t disagree on the web — they either destroy their opponents or come off as an epic fail. Everything is heightened and over-the-top, which means that nothing is really heightened or over-the-top, so, when someone online tells you, “This is the best ever,” there’s no real reason why you should think that they’re talking about anything special. 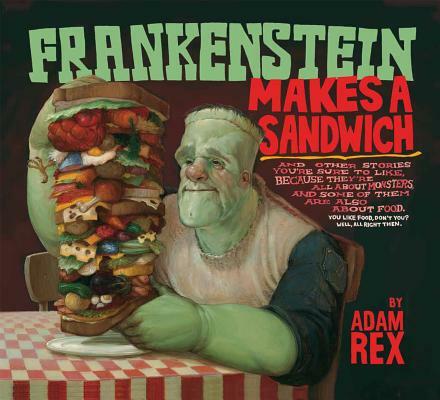 EXCEPT THIS TIME… because Adam Rex’s Frankenstein Makes a Sandwich and its sequel, Frankenstein Takes the Cake, are seriously the best Halloween books for kids EVER. If you haven’t been overwhelmed by incredulity yet, let me explain. Yes, I realize that people like sharing spooky books with kids around Halloween time and I love that. For younger kids, you can give them something clever (but safe) like The Wizard by Jack Prelutsky or Substitute Creacher by Chris Gall. (Both great.) For older kids, you can go classic like The Legend of Sleepy Hollow by Washington Irving or modern classic like Alvin Schwartz’s Scary Stories to Tell in the Dark. (Super creepy.) 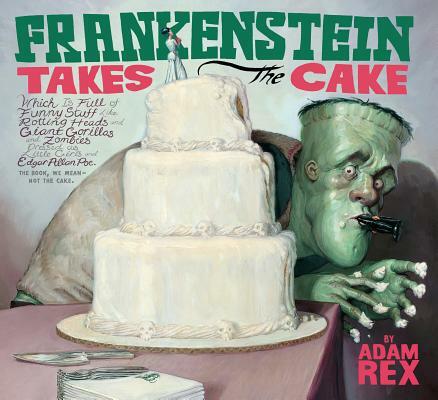 But, for me, Halloween is really all about that sweet spot where unbridled fun and playful spookiness collide and I don’t know of any other kids’ titles that tap into that crazy tone overlap better than Rex’s Frankenstein books. For those unfamiliar, Frankenstein Makes a Sandwich and Frankenstein Takes the Cake are two insanely creative illustrated poetry collections that utilize a breathtaking variety of art styles and rhyme schemes to tell short stories about some of the most famous monsters of all time – Dracula, the Creature from the Black Lagoon, the Wolfman, the Mummy, witches, yetis, zombies, Godzilla, and, of course, the titular Frankenstein. 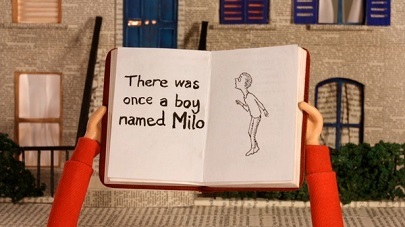 Back in October 2011, I contributed to a Kickstarter campaign by filmmaker Hannah Jayanti, who wanted to create an original documentary to celebrate the fiftieth anniversary of The Phantom Tollbooth, a children’s classic written by Norton Juster and illustrated by Jules Feiffer. I’ve written about The Phantom Tollbooth at considerable length in the past (here and here and here), largely because I think it’s one of the most profound books I’ve ever read. As a kid, it hit me like a ton of bricks and, when I found out that I was going to be a father, the very first thing I ever bought for my yet-to-be-born daughter was her very own copy of The Phantom Tollbooth. So, understandably, I was more than a little interested in seeing a documentary about the origins of the book and the creative duo that brought it to life. A few hours ago, I just finished watching the finished product, Jayanti‘s charming and perceptive The Phantom Tollbooth: Beyond Expectations, and, let me tell you, the title is apt. The documentary exceeded any expectations I could’ve had for the project and, I’ll be honest, as a bit of a Tollbooth fanboy, my expectations were probably set unreasonably high to begin with. Even if you’re not a card-carrying devotee of Milo and his adventures beyond the tollbooth, this is just a really great film. Anyone interested in art, creativity, learning, or the power of words should see this movie. Jayanti‘s visual palette and design sense are as precise and whimsical as the men who created The Phantom Tollbooth, and the handcrafted feel of the film itself is wonderful vehicle for conveying the story of the book’s creation. (The animated sequences, narrated by David Hyde Pierce, are particularly delightful.) The documentary interviews Juster and Feiffer extensively, both together and separately, and, through their interactions, you can still see how these two men, bursting with creativity, could come together to create such a literary classic. 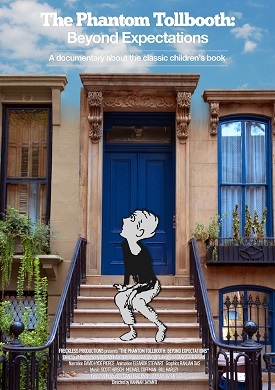 In addition to the creation of the book, Beyond Expectations also explores the histories of the creators, the personal and cultural impact of The Phantom Tollbooth, the importance of both education and failure (which I don’t think gets enough attention as an educational tool), and how Norton’s approach to learning positively impacted the lives of his daughter and granddaughter. I think it’s impossible to come away from watching The Phantom Tollbooth: Beyond Expectations without an overwhelming sense of affection for Juster, Feiffer, and the world they created in The Phantom Tollbooth. And, personally, I just couldn’t be happier that this film not only got made, but got made so well. If you’d like to see The Phantom Tollbooth: Beyond Expectations, it’s available now for instant streaming and HD DRM-free downloads HERE. (You can also pre-order the DVD.) To find out more about the project, you can visit the film’s official website HERE. There’s a lot of great content on the official site, including information on the creators, production videos, and a video that profiles Norton and Juster’s latest literary collaboration, The Odious Ogre. Seek this documentary out, folks. It’s worth your time. Do I really need to suggest this book to parents? It’s kind of a gimme, right? 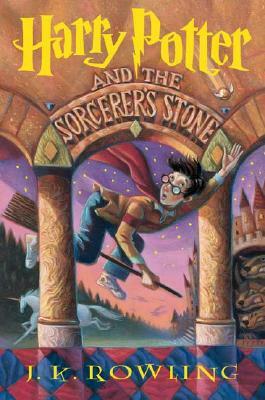 Earlier this year, my six-year-old daughter finally read Harry Potter and the Sorcerer’s Stone. And she loved it, which wasn’t a huge surprise. Her mom and I are big fans of the series ourselves and there’s a reason why so many millions and millions of readers have embraced J.K. Rowling‘s most famous creation. Despite what some lit snobs will tell you, they’re excellent books. As such, this isn’t going to be my normal “OHMYGOD, have you heard of this book? You HAVE to read it” review. It is safe to assume that you’ve heard of the Harry Potter books and much, much better writers than I have sung their praises before, so there’s not much point in me adding in my two cents six years after Deathly Hallows was published. 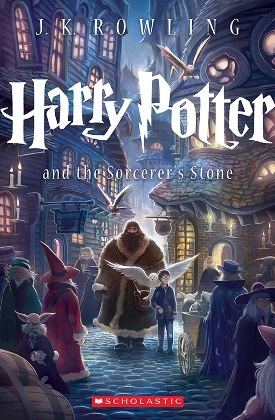 But, as a parent who knew as soon as he found out that he was having a kid that he wanted that kid to one day read the Harry Potter books, I’d like to talk about the three parts of Sorcerer’s Stone, the first chapter in the series, that I was legitimately nervous for my daughter to read. I was anxious for several reasons. For starters, my daughter had been dancing around the Harry Potter series for almost a year. The books were solidly on her radar before, but she was afraid that they were “scary“, so she didn’t want to read them and I wasn’t going to push the matter. I was fine with waiting until she felt she was ready. However, her attitude towards Harry Potter started to change during her first grade year, largely because so many of her classmates had read and loved the series. My kid suddenly wanted to buy Harry Potter Legos and would come home every week, telling me she’d learned new spoilers about what happened in the books (some were right, others were totally, hilariously wrong). Finally, one day, my daughter came home from school carrying a copy of Harry Potter and the Sorcerer’s Stone that she’d checked out from the school library. “I think I want to read this,” she told us. After we reminded her that we OWNED all seven books and she didn’t actually need to take them out from the library – kids are gloriously weird sometimes – my wife tenuously started reading her Sorcerer’s Stone at bedtime, with me nervously asking, every night, how it was going. I’d already had the experience of trying to read my kid a book beloved by her parents only to have it blow up in our faces – i.e. my abortive attempt to introduce her to The Phantom Tollbooth – so the LAST thing I wanted to do was find out too late that we’d forced Harry Potter onto her too soon, tragically coloring her opinion of the series for the rest of her life. Also, I was nervous because my daughter is a very introspective, thoughtful kid and I was afraid that she might be really, really sensitive to some of the darker moments in the book. Did you know that the Easter Bunny was a working single mom? True story. Easter is an odd holiday. While it has admittedly deep religious significance for Christians, for the rest of the world (and for Christians too), Easter mashes together a very weird pastiche of cultural iconography, presumably all about the celebration of “Spring.” Easter is a holiday symbolized by bunnies who deliver eggs (as opposed to chickens who are normally responsible for egg production), cute little chicks that apparently came from eggs that escaped the bunnies’ dye factories, a metric ton of candy, and really, really big hats. I’m not entirely sure how that all comes together to celebrate the Spring Equinox, but, like most major holidays, it’s just weird enough to work. I don’t understand Easter, but I like it and I really enjoy sharing it with my daughter. 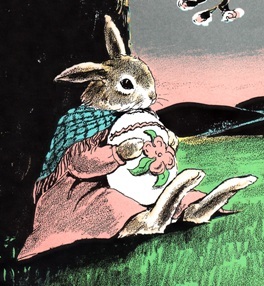 And one of the best ways I’ve found to share Easter with my daughter is reading her The Country Bunny and the Little Gold Shoes by Du Bose Heyward and Marjorie Flack, a book that I regard as THE definitive Easter book for kids. You can find many Easter-themed books at the bookstore, just begging to be tucked into that weird fake grass in your child’s Easter basket, but, trust me, no book has ever done a better job of creating a more enchanting and engrossing mythology around Easter than The Country Bunny and the Little Gold Shoes. 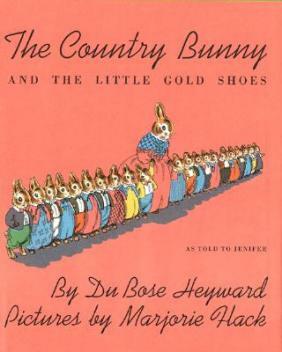 Originally published in 1939, The Country Bunny and the Little Gold Shoes was actually authored by Du Bose Heyward, the author best known for writing the novel Porgy, which was the basis for George Gershwin’s opera Porgy and Bess. Heyward originally composed the story simply to entertain his nine-year-old daughter Jenifer – the book’s subtitle is “as told to Jenifer” – until Marjorie Flack, a noted illustrator, asked him to collaborate with her into turning The Country Bunny into a children’s book. We hear of the Easter Bunny who comes each Easter Day before sunrise to bring eggs for boys and girls, so we think there is only one. But this is not so. There are really five Easter Bunnies, and they must be the five kindest, and swiftest, and wisest bunnies in the whole wide world, because between sunset on Easter Eve and dawn on Easter Morning they do more work than most rabbits do in a whole year. 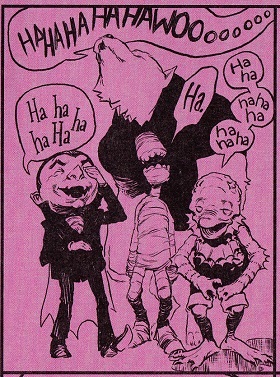 The Scarecrow and Tin Man are babies compared to Baum - they're only 112 years old. Today would’ve been the 156th birthday of L. Frank Baum, the visionary author best known for his landmark children’s novel, The Wonderful Wizard of Oz, and everything else that spun off from that wild American fable about a young woman named Dorothy carried by a cyclone into the magical world of Oz. 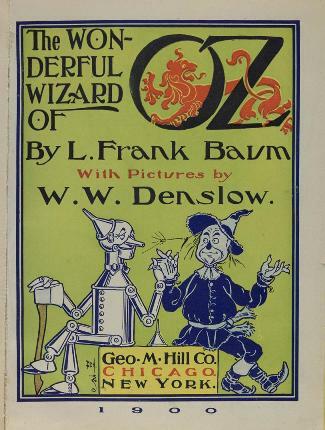 And, by “everything else,” I’m, of course, talking about more than just the 17 or so subsequent Oz books that were published both before and after Baum’s death. The Wonderful Wizard of Oz was a critical and commercial literary phenomenon, Baum adapted it himself into an acclaimed stage musical, The Wizard of Oz became one of the (if not THE) most famous movies of all time, Dorothy and her friends have become pop culture icons, there have been comic books, novels, musicals, video games, movies, mini-series, toys, clothing lines… all from that one little new-world fairy tale that L. Frank Baum and his illustrator W. W. Denslow published in 1900. There’s a wonderful essay on the legacy and power of Baum’s Wonderful Wizard of Oz at Anita Silvey’s Children’s Book-a-Day Almanac today that can tell you far more about the Oz books that I can. I don’t own any of the Oz books, though I’ve come close to buying my daughter a copy on several occasions. Even though we haven’t read it yet, The Wizard of Oz is definitely on her radar – largely, I’ll admit, because of the movie. However, movie aside, I think that the story of Oz has evolved into one of those modern storytelling landmarks, the kind of story that just seeps into our collective unconscious without us really knowing how it got in there. My daughter has only watched about 60% of The Wizard of Oz movie – the witch and flying monkeys freak her out – but, even before that, she knew who Dorothy Gale was, she knew the Scarecrow, the Tin Man, the Lion, and she understood the “ignore the man behind the curtain!” reference. To me, when a story becomes that ubiquitous, it moves out of the realm of being a “really great kids’ book” and moves into the realm of folklore, myth, and legend. If you want a really cool way to celebrate Baum‘s birthday today, I’d suggest going to the Library of Congress’ Read.gov. On this excellent site – which does a wonderful job promoting literary and the joy of reading – the Library of Congress has included some remarkable, high-quality digital scans of original editions of classic children’s titles, including L. Frank Baum and W. W. Denslow‘s The Wonderful Wizard of Oz. 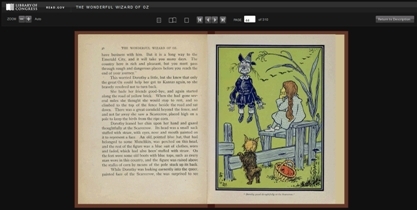 Thanks to the Library of Congress, you can page through the entire text of The Wonderful Wizard of Oz (or download a PDF of the entire book) and experience it in the same way that a reader would’ve experienced it in 1900. (Denslow’s illustrations are a particular highlight.) You can click here for some basic information on the edition and you can CLICK HERE to go right to the digital version of The Wonderful Wizard of Oz. Maurice Sendak, a literary giant whose works impacted children of all ages (even the grown ones), died today at the age of 83, due to complications that arose from a recent stroke. I write a lot about “essential” books that every child should have in their home library, but, when I look at my past posts, I realize that I haven’t written that much about Sendak and I think I know why. 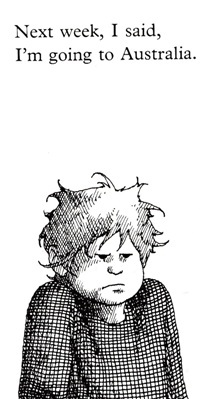 I think I sometimes forget to mention Sendak or recommend his books, because it just seems like a foregone conclusion to me that EVERYONE knows that you MUST read Maurice Sendak. They don’t need me convincing them to pick up a copy of Where the Wild Things Are or In the Night Kitchen. There is something – or there SHOULD be something – just imprinted in our animal DNA that draws us to Sendak’s works. We recognize the emotions, the expressions, the empathy that are all clearly apparent on the faces of his characters and we connect to them on a deeply resonant level. 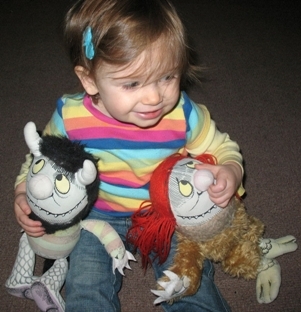 My daughter, at age 1 1/2, at the Maurice Sendak exhibit at Philadelphia's Please Touch Children's Museum. You might recognize this image from the header of this blog. I keep mentioning that The Phantom Tollbooth was the first book that I ever bought for my daughter, but, what I don’t mention is that I didn’t have to buy her a copy of Where the Wild Things Are because I already had a copy, a copy that I’d bought for myself. As I prepared to leave home for the first time to head for college, for whatever reason, after I was done buying myself bedsheets, a TV, and a computer, I bought myself a hardcover edition of Where the Wild Things Are to keep in my dorm room. And I don’t really know why. Maybe it was something to help me remember my childhood. Maybe it was the equivalent of a literary security blanket. Maybe I was hoping to look deep to college girls and subtly let them know that I was ready to let the “wild rumpus start.” But, my strange motivations aside, I think it says a lot that I couldn’t picture living alone, in my own living space for the first time in my life, without a copy of Where the Wild Things Are ready and available to me whenever I needed it. As a small tribute to the memory of the great man, I assembled this brief collection of videos that, I think, do a nice job of really showing the universal impact, importance, and grand, unfettered joy of Maurice Sendak and his wonderful works. He will be missed. Anyone who ever debated Sendak‘s cultural importance should watch this great video of President Obama reading Where the Wild Things Are at the 2009 White House Easter Egg Roll. 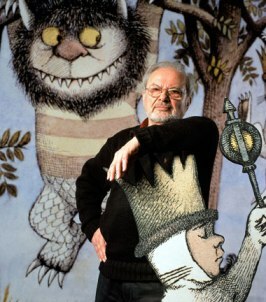 Anita Silvey, the children’s lit expert behind one of my favorite websites, The Book-a-Day Almanac, gives a wonderful overview of Maurice Sendak‘s personal history and literary career. This is a nice introduction to Sendak for those who don’t know much about the man behind his famous works. 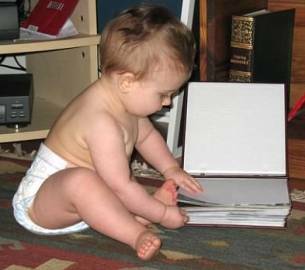 Question: What's cuter than a baby reading a book? Answer: Almost nothing. 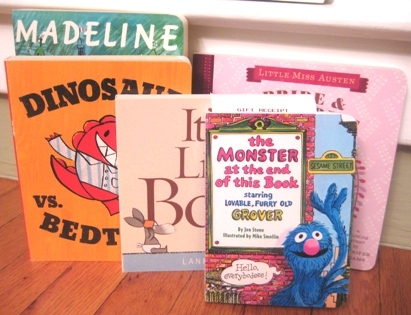 I decided to stick to board books because there are years and years to make sure that your kid has a great library of paperback and hardcover classics at their fingertips, and I love actually giving babies books that they can start abusing right away. Board books are solid, sturdy, and, if your baby HAS to chew on something, I’d rather have them chomping on some high quality kid lit as opposed to just some old binky or blanket. Plus I think one of the best things you can do to encourage your children to read is to just have lots of books around and available for them to experience. Books need to be a part of their daily environment, and board books are very safe, very accessible reading material for developing kids. I did a feature a while back on “Five Great Board Books That Aren’t Goodnight Moon or The Runaway Bunny“ and, while those are all great board book titles that I recommend HIGHLY – don’t get me wrong, Goodnight Moon or The Runaway Bunny are still must-own canon classics – I decided to pursue a few different options this time, picking out a mixture of classic and newer titles. If you’re in the market for some new board books or if you’re about to buy a gift for a friend with a young baby or toddler at home, here are the five board books I bought last night, all of which I’d definitely recommend. OK, after yesterday’s post, I kinda had to buy this one, didn’t I? But it’s still one of the best board books ever. I’ve mentioned several times (probably too many times) on this blog that the very first book I bought for my daughter was The Phantom Tollbooth. But, dear readers, do you know what the SECOND book I ever bought for her was? It was The Monster at the End of This Book by Jon Stone and Mike Smollin. So, with the entirety of children’s literature in front of me, why did I choose to purchase a Sesame Street book, a book based on a TV show, as the second foundational text of my unborn daughter’s home library? 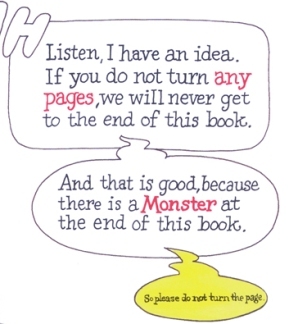 It’s a simple answer – The Monster at the End of This Book is an AMAZING book. It’s a groundbreaking book. In my humble opinion, it is one of THE greatest read-aloud books ever written, it is one of the best “books about books” in the history of literature, and, personally, I have a hard time of thinking of more than a few other titles that do such an effective job of showing kids how breathtakingly FUN reading a book can actually be. And, yes, it’s a book about Grover, a small blue puppet from TV. It’s freakin’ great. The Monster at the End of This Book was the first “meta” book I ever remember encountering as a child. I know hipsters throw around the word “meta” almost as frequently as they line up for overpriced brunches, but, for the rest of you, a good working definition of “meta” is: “a term, especially in art, used to characterize something that is characteristically self-referential.” In other words, The Monster at the End of This Book is a book that is wonderfully aware that it is, in fact, a book. 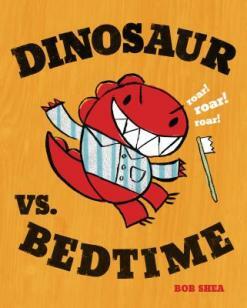 And that’s a really, really fun and potentially mind-blowing concept to introduce to a young reader. 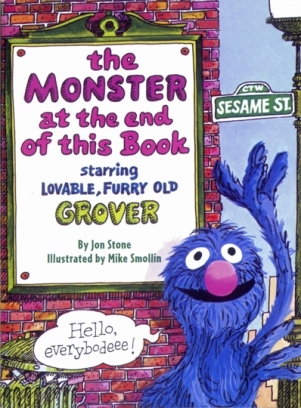 The lead character, Grover – lovable, furry old Grover – is one of Sesame Street‘s friendly monsters and, as the star of this “meta” picture book, he can talk to the readers, he knows that we’ll be turning pages… unlike most characters in children’s literature, he is fully aware that he is a character in a book and he understands the mechanics of reading books. He knows that, in the act of reading a book, we as readers turn pages until we get to the end of the book. And that’s a problem for Grover because, in his post-modern “meta” world, he was able to read the title of his own book and he now knows that “there’s a monster at the end of this book.” And poor old Grover is afraid of that monster and, to prevent us from ever encountering the rumored beast, he wants us to stop reading RIGHT NOW. As I mentioned in my review, Alexander and the Terrible, Horrible, No Good, Very Bad Day is a universally appealing story for the simple reason that everyone in the world has had the experience of having a really, really bad day. (Right now, your brain is trying to get you to start unconsciously humming Daniel Powter’s “Bad Day”. For the love of humanity, FIGHT that urge.) So, since Alexander is such a relatable tale, it’s not surprising that there have been several multimedia adaptations of the book over the years. Next is a cartoon adaptation of Alexander that aired on HBO in 1990. This video is the first of three parts of this “musical” – yes, musical – version of Alexander’s very bad day. It’s… not great, in my humble opinion. The songs aren’t exactly Book of Mormon caliber, the animation quality is sub-Rugrats… it’s very much an artifact of the 1990s.